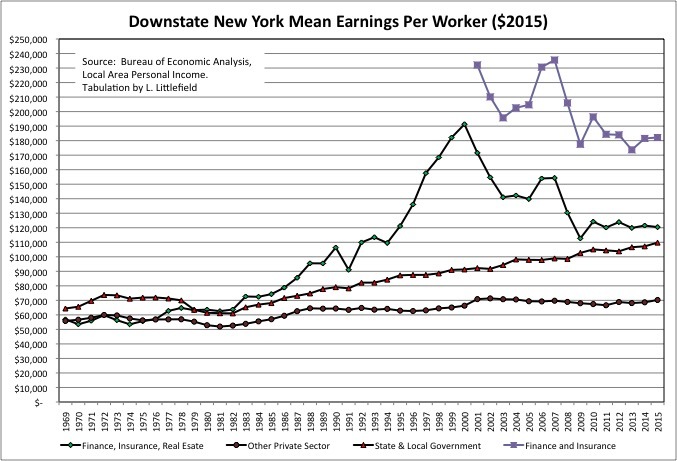 Cuomo, Schumer and the rest of our NY elite dems are garbage. Cuomo just vetoed two bills that even Trump would have liked. He’s a revolting man. In the long term unions, consultants, and everyone else who rides the gravy train for these hideously costly projects is digging their graves with talk like that. Thanks to this kind of pure arrogance, sooner or later there will be plenty of political support to allow bidding on the world stage for these big infrastructure projects. If some Chinese company can build it for 20% of the cost, they get the project. And we can include foreign contractors in the design stage as well. A large part of these high costs are due to design decisions like huge, gold-plated stations. I would prefer 10 spartan stations which just work to one grandiose station. Look at what the early builders of the subways did for inspiration. Most stations aren’t works of art, nor do they need to be. Any money saved on stations can be spent on more route miles. NYC needs the latter far more than fancy stations. So long as a station is functionally able to cope with the peak loads, it’s not going to influence ridership. What will influence ridership is having a system which doesn’t go where you need to go, or perhaps one where trains are too infrequent or too slow. At the end of the day, it’s a simple moral calculus: every dollar that goes toward making stations perfect for Cuomo’s Instagram photo-ops, every dollar that goes towards securing primary votes and campaign contributions from the unions and corporate contractor lobbyists, is one dollar less that’s going toward improving the life of the working-class people living on Utica Ave in East Flatbush or on Third Ave in the Bronx who have 1-hour+ commutes to work every day. As it happens I have both real estate experience, having worked for an agency that regulates it (NYC Planning) for 13 years and a firm that analyzes it for 11, and transportation experience, having worked for NYC Transit a total of five years in two stints. And I have expertise in comparative public finance as well. But with regard to these issues I am not, shall we say, a go along, get along, shove the problems under the rug kind of guy. And that is the most important qualification of all. 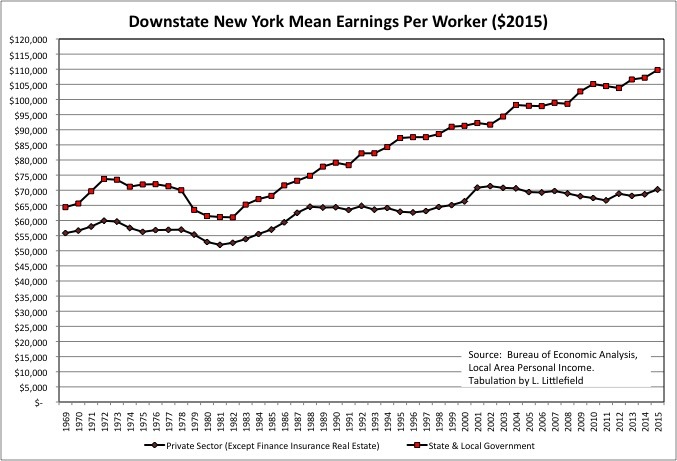 Interesting enough, if you go back to 1969 the mean earnings (including benefits) per worker in Downstate NY was similar for state and local government workers, the Finance and Insurance and Real Estate sector, and the rest of the private sector. Not so much now. I’ll say it again. The executive/financial class in their limos, black cars, and imported German luxury cars. The political/union class with its placards. And the serfs on mass transit or riding bicycles. Meta-question: will it be possible to see the number of comments per post on the main page again? I’m open-minded but still finding it harder to navigate through the new interface than before. Yes, we will be adding comment counts. Well, given the tie-in to the F, some interaction with existing infrastructure was a bit unavoidable for this phase. Thing is, I don’t think labor is the problem. It might be a problem, but it’s more a symptom than a cause. A much bigger problem, bigger than maybe anything else, is how long these projects take. It means paying laborers their wage rate for a much longer period of time. Somehow I don’t think laborers are forcing these projects to draw out a decade longer than they would in Germany. Secondly, they are surely overbuilt. And yes, a long escalator ride to hop on a train is daft from the perspective of urban planning. Except for some concessions to modern accessibility priorities, the Lex was a much better model for how you make a subway. Awesome! Thanks so much for all the great work! A big mistake was not going for the cut & cover method. They fooled themselves that the deep tunnel method would be less disruptive and not really too costly. Projects take longer when you have ridiculous work rules. You can’t easily reassign workers to new tasks, and often have to wait till the next day’s shift in order to get a crucial work order completed. The Josh Barro Business Insider piece made a good point about the $10Billion LIRR East Side Access project. A huge cost is building an entire new level below Grand Central Terminal for the LIRR trains because MetroNorth and LIRR can’t cooperate. Perhaps Governor Cuomo, who controls both railroads, could cancel the lower level and have the LIRR trains use existing tracks and platforms? Seems like a relatively big opportunity for savings. Barro says GCT is the biggest train station in the world, with a surplus of tracks and platforms. Should be plenty of room for the LIRR trains, and whatever construction was done can be mothballed until it is really really needed. It’s a factor, but you’re already doing it wrong if you’re reassigning workers frequently in a capital project. Work rules might be screwing up projects, ahead of time, but that criticism is better applied outside the capital program where workers are performing tasks that have been irrelevant for decades, or at least should have been made irrelevant decades ago. I’m not so sure design-build is a magic bullet, although in many cases it should certainly be considered as an option. The subway may be a poor subject for it because its design criteria have already been defined – in some cases, for over a century. Definitely another factor. But one tied to overbuilding. I think boring was a reasonable choice to tie into the already deep Sixth Avenue and Broadway services. IIRC, our tunneling by itself is actually not so expensive. Adding stations to our tunnels is where we get pummeled. Note the $700M (or thereabouts, last time I checked years ago) 10th Avenue stop on the 7 Train. Think that ended up being a $500M provision for side platforms that may never happen. This was also the case with ARC, BTW. If ARC didn’t need the “Batcave,” it would have been a pretty cheap project. Its a little late and someone should be in jail for that one. Design build will be a failure as the contract would still require the same labor force with the same rules.